In the land of Ryoza, the neighboring provinces of Shin-Ou and Tai-Kou have been at peace. Queen Shinou is the ruler of Ryoza and her greatest general, Grand Duke Taikou, defends the kingdom with his army of powerful war-lizards known as the "Touda." Although the two regions have enjoyed a long-standing alliance, mounting tensions threaten to spark a fierce civil war. 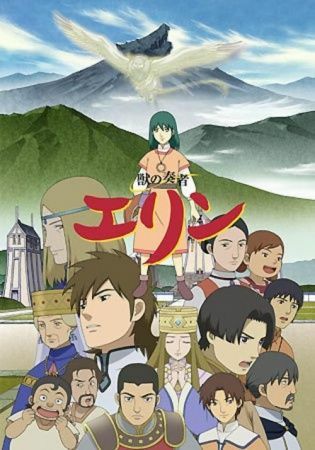 Within Ake, a village in Tai-Kou tasked with raising the Grand Duke’s army, lives Erin, a bright girl who spends her days watching the work of her mother Soyon, the village’s head Touda doctor. But while under Soyon's care, a disastrous incident befalls the Grand Duke's strongest Touda, and the peace that Erin and her mother had been enjoying vanishes as Soyon is punished severely. In a desperate attempt to save her mother, Erin ends up falling in a river and is swept towards Shin-Ou. Unable to return home, Erin must learn to lead a new life with completely different people, all while hunting for the truth of both beasts and humanity itself, with tensions between the two regions constantly escalating.